Seteteca was born to contain and present all our products. Even though we promote other wineries and breweries, we firstly study applied fermentation. Jacopo is an oenologist; Esmeralda is a brewer and a baker: together we produce wine using natural and environmentally friendly methods. By now Seteteca is still young, but it will grow up as time goes by. Enjoy! Grapes: Barbera (70 anni), Cabernet Franc (70 anni), Pinot Nero (15 anni), Trebbiano (70 anni) in macerazione. Rosé wine refermented in the bottle born from the encounter between worlds that dance like the waves of the sea. A corner in the shade on a fiery sunny day. 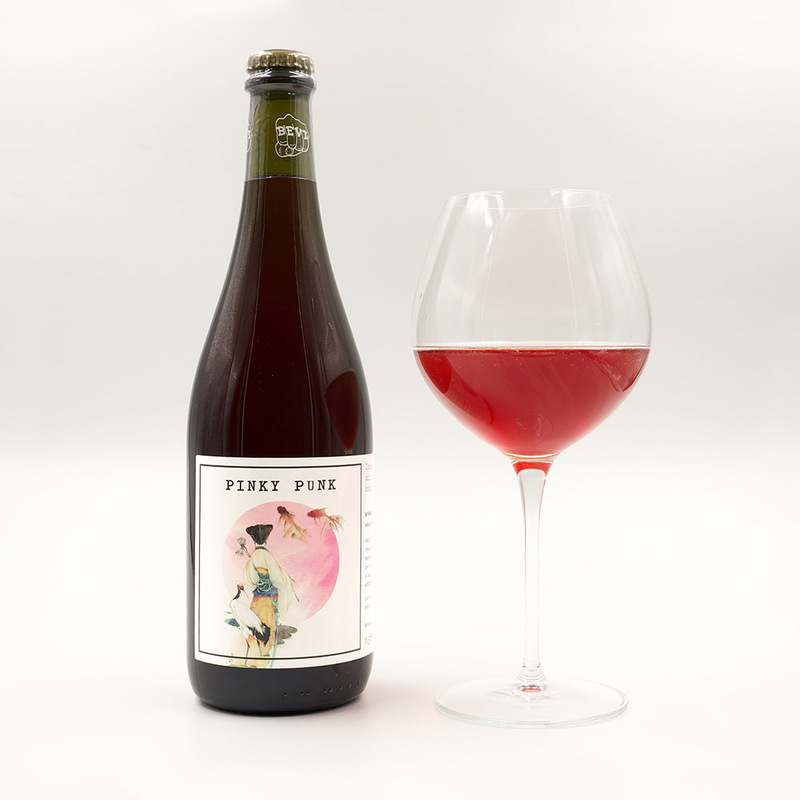 Combination of ideas that in the glass give a sparkling squeeze of small red fruits. A refreshing gulp that leaves you dumbfounded, in which you dive again with joy. Acidity, minerality, flavor wash the mouth together with a slight bubble. Fermented in Acacia wood and aged for 6 months in steel. This pink wave brings out a red character! Grapes: Durello, Vespaiola, Pinot Bianco. White wine with a sharp soul. 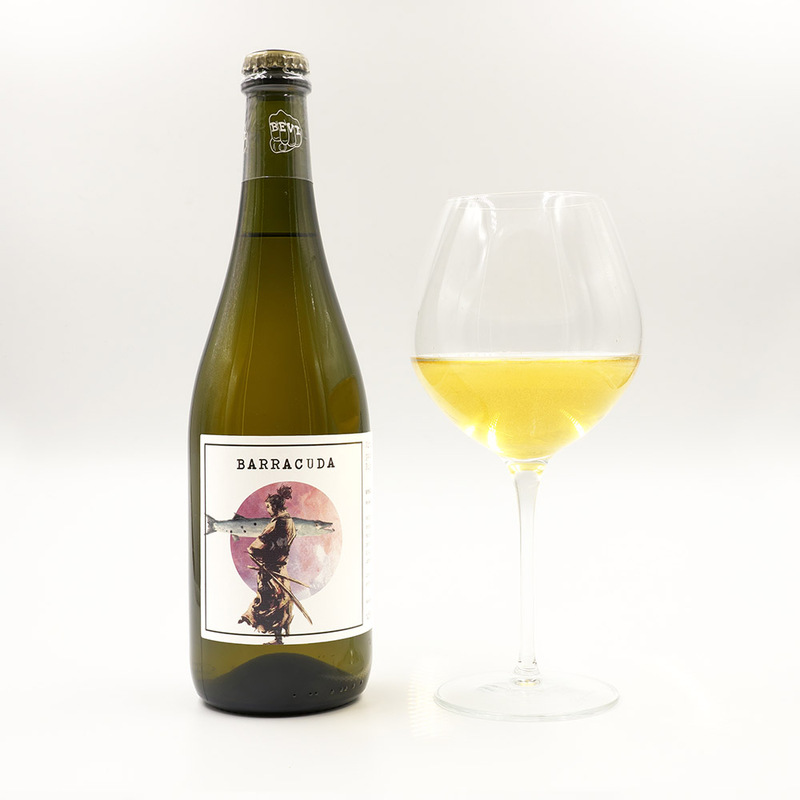 Born from our thirst for knowledge and experimentation, it is made from the grapes of Colli Berici (near Vicenza) and aims to challenge traditional taste criteria to nourish the body in full compliance with the cycles of nature. The production of this wine uses the biodynamic approach both in the vineyards and in the cellar. Contains sulphites. Grapes: Barbera, Cabernet Franc, Pinot Nero, Trebbiano in macerazione. Rosé wine refermented inside the bottle, born from a warm sunbeam shining on the copper coloured foliage. 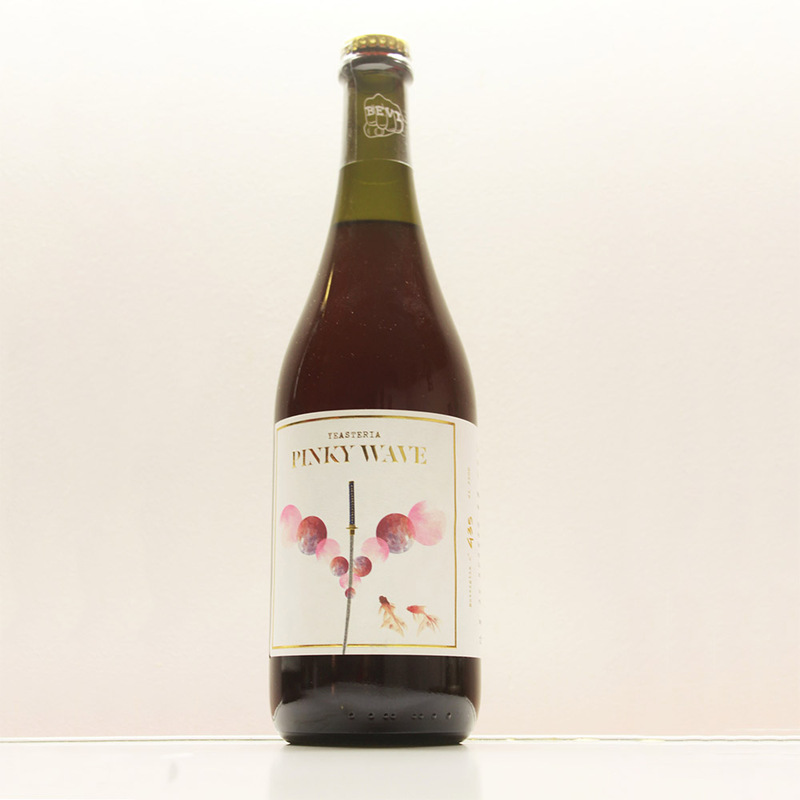 Our idea is a wine to be enjoyed in a shady corner during a torrid sunny day, intensely dedicated to beer. The production of this wine uses the biodynamic approach both in the vineyards and in the cellar. Contains sulphites. So Clean is Yeasteria’s first brew and it’s been presented at the 74th Venice International Film Festival. 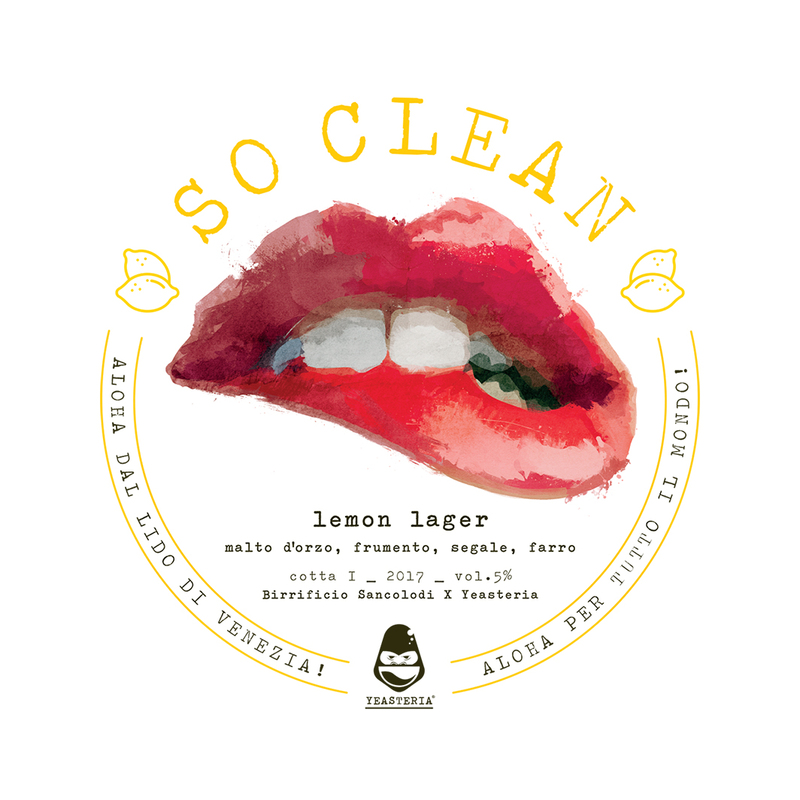 It’s a rustic lager made from non-malted cereals but fresh thanks to the lemons of Amalfi. We wanted to make this beer entirely by had in compliance with our values: territorial culture, craftsmanship and constant experimentation. “Be aware of this, but don’t be afraid. Divinologia is an ambitious artistic project aiming to bring together craftsmen and sculptors. Antonello Santè Paladino, in collaboration with Professor Francesco Geronazzo, will carve 400 bottles and 40 magnum, to create an illustrated artwork which is assembled into forty different narrations. The purpose is to write a “wine Bible” on the bottles themselves. 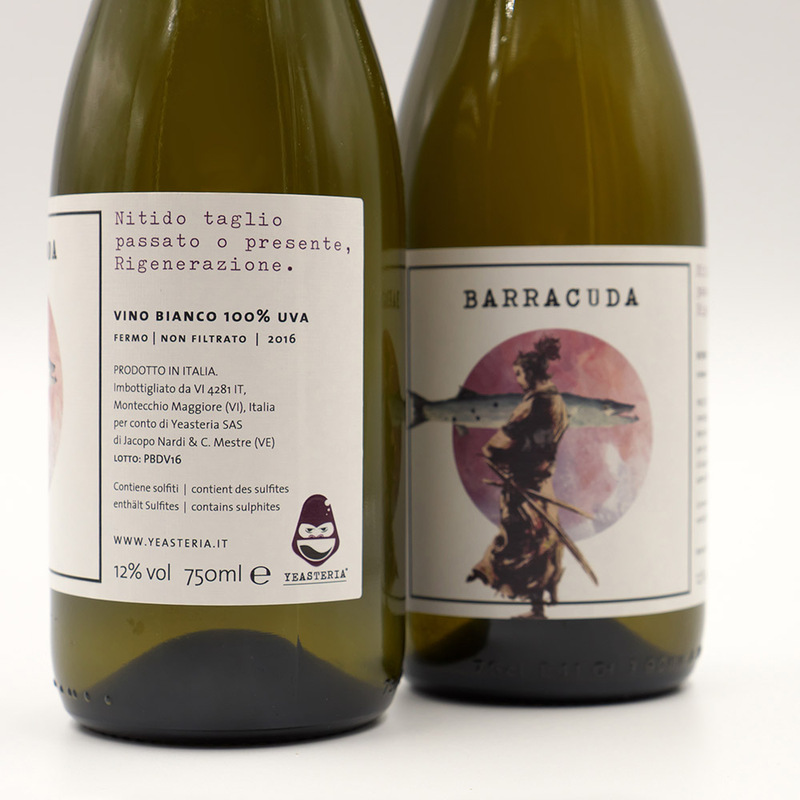 The aim of the project is to touch, in a very real sense, the tasting experience, connecting you with the bottle to live our “yeasteric” idea of tasting: you are not simply drinking wine; you are sensing the artisan spirit in the form of a sip. 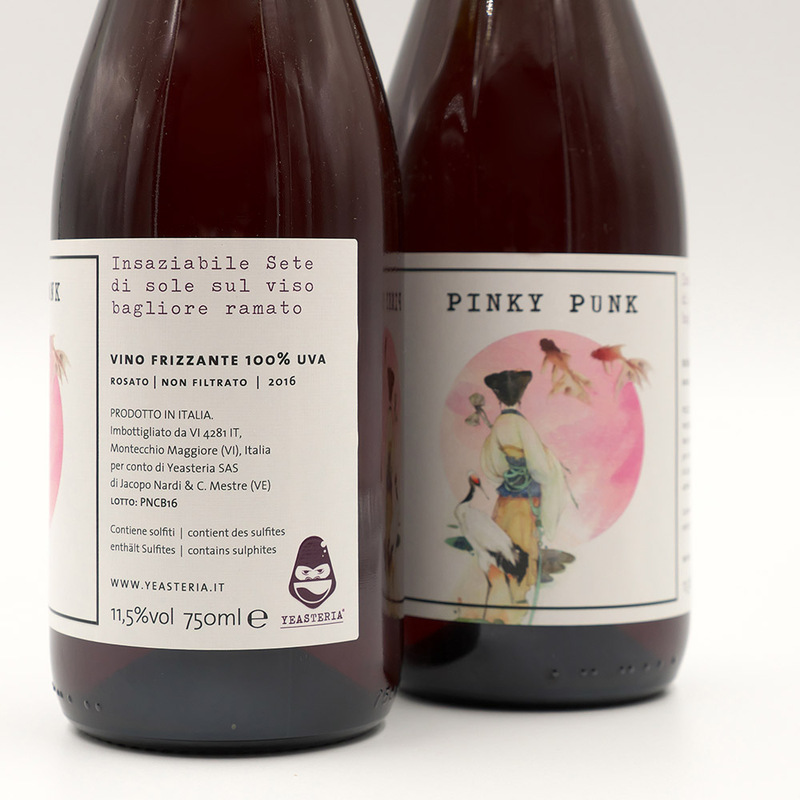 What would you like to drink?BarracudaPinky PunkDivinologiaMore than one! Tell us which products and how many you want, and the city you live in, we will answer as soon as possible. We're not pushy: one mail per month!